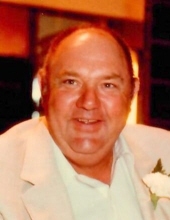 Richard F. Fiedler, 84, Davis, IL died at 10:25 p.m., Monday, February 4, 2019 in his home after a brief illness. Born February 1, 1935 in Warren, IL the son of Mr. and Mrs. Antone and Lillian (Hicks) Fiedler. He graduated from Warren High School, where he played many sports. He married the former Harriet Sudds in Holcomb, IL on April 6, 1957. He was employed as a sprinkler fitter for Local 669 for over 30 years and worked for various Rockford area contractors, retiring in 1990. He was in the US Army Reserves from 1957 – 1961, climbing to the rank of Sargent. He was a member of Trinity Lutheran Church and was on the Laona Township Board. He loved his family and had a good heart. He enjoyed boating whether on Lake Petenwell, Lake Koshkonong or The Mississippi and fishing. Richard loved carpentry and has made many wood items, including major pieces for Trinity Lutheran Church in Durand. He was a life-long Cubs and Bears fan. Survivors include his wife Harriet Fiedler; three children Dawn Lighthall, Thomas (Ruth) Fiedler and Brian Fiedler; 10 grandchildren and two great grandchildren. He was preceded in death by his parents, sister Virginia Wanless and son-in-law Larry Lighthall. Memorial ceremonies will be held at 11:00 a.m., Saturday, February 9, 2019 in Trinity Lutheran Church, 15585 Durand Road, Durand, IL with Sharon Beksel officiating. Final resting place will be in White Rock Cemetery, Holcomb, IL. Cremation rites will be accorded. Visitation will be held at the church from 10:00 a.m. until time of ceremonies Saturday. McCorkle Funeral Home-Durand Chapel, 101 W. Main Street, Durand, IL assisted the family. A memorial has been established to Trinity Lutheran Church, Durand, IL, 61024. To send flowers or a remembrance gift to the family of Richard F. Fiedler, please visit our Tribute Store. "Email Address" would like to share the life celebration of Richard F. Fiedler. Click on the "link" to go to share a favorite memory or leave a condolence message for the family.